Once you've scheduled an informational interview, you you can turn your 30 minutes into networking gold with the following three steps. Conduct your informational interview like a pro. It's best to plan some open-ended questions, though you should certainly let the conversation flow naturally by asking follow-up questions about things that particularly interest you. Here are some questions to try, or you can check out this video of a sample informational interview. Take notes if you'd like. Respect the person's time. Keep the meeting length within the agreed-upon timeframe. Note: You can bring a resume, but don’t take it out right away or your interviewee may think you are actually fishing for a job. You can always send your resume and LinkedIn profile later along with your thank you note. 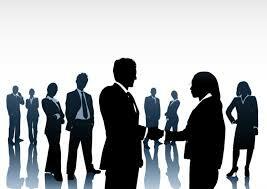 After any interview or networking event write down your notes on what you learned and who you met. Send a follow-up note and connection to anyone you spoke with. After an informational interview, add the person as a connection on LinkedIn if you have not already. Make sure to send a thank-you note within 48-hours. Make sure to take them for their time and any other connections or advice, and mention at least one specific idea or piece of information that you found helpful. If they mentioned anyone else that they would suggest talking to, be sure to ask for that person's contact information. You can find a sample thank you note below. Email Subject: Thank you for your time! Thanks so much for making the time to help me learn from your experience. I really appreciated your honesty about the ups and downs of hospital and home care - it will help me go into the field with clear expectations. I would very much like to follow up with your friend Lawrence from Community Health Services, so thank you in advance for sending along his email address. Finally, I'm very grateful you invited me to keep in touch as I figure out my next steps. I will plan to get back in touch at the end of the year to let you know where I am applying. This article was adapted from the UC Berkeley Career planning website.